Researchers at the Norwegian University of Life Sciences (UMB) have developed a new method for detailed analyses of electrical activity in the brain. The method, recently published in Neuron, can help doctors and researcher to better interpret brain cell signals. In turn, this may lead to considerable steps forward in terms of interpreting for example EEG measurements, making diagnoses and treatment of various brain illnesses. Researchers and doctors have been measuring and interpreting electrical activity generated by brain cells since 1875. Doctors have over the years acquired considerable practical skills in relating signal shapes to different brain illnesses such as epilepsy. However, doctors have so far had little knowledge on how these signals are formed in the network of nerve cells. "Based on methods from physics, mathematics and informatics, as well as computational power from the Stallo supercomputer in Tromsø, we have developed detailed mathematical models revealing the connection between nerve cell activity and the electrical signal recorded by an electrode," says Professor Gaute Einevoll at the Department of Mathematical Sciences and Technology (IMT) at UMB. The problem of interpreting electrical signals measured by electrodes in the brain is similar to that of interpreting sound signals measures by a microphone in a crowd of people. Just like people sometimes all talk at once, nerve cells are also sending signals "on top of each other". The electrode records the sounds from the whole orchestra of nerve cells surrounding it and there are numerous contributors. One cubic millimetre can contain as many as 100,000 nerve cells. Similar to bass and treble in a soundtrack, high and low frequency electrical signals are distinguished in the brain. "This project has focused on the bass - the low frequency signals called "local field potential" or simply LFP. We have found that if nerve cells are babbling randomly on top of each other and out of sync, the electrode's reach is narrow so that it can only receive signals from nerve cells less than about 0.3 millimetres away. 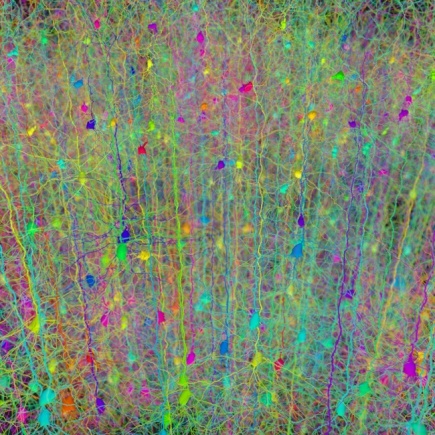 However, when nerve cells are speaking simultaneously and in sync, the range can be much wider," Einevoll says. Better understanding of the electrical brain signals may directly influence diagnosing and treatment of illnesses such as epilepsy. "Electrodes are already being used to measure brain cell activity related to seizures in epilepsy patients, as well as planning surgical procedures. In the future, LFP signals measured by implanted electrodes could detect an impending epilepsy seizure and stop it by injecting a suitable electrical current," Einevoll says. "A similar technique is being used on many Parkinson's patients, who have had electrodes surgically implanted to prevent trembling," researcher Klas Pettersen at UMB adds..
Einevoll and Pettersen also outline treatment of patients paralysed by spinal cord fracture as another potential area where the method can be used. "When a patient is paralysed, nerve cells in the cerebral cortex continue to send out signals, but the signals do not reach the muscles, and the patient is thus unable to move arms or legs. By monitoring the right nerve cells and forwarding these signals to for example a robot arm, the patient may be able to steer by his or her thoughts alone," Einevoll says. The Computational Neuroscience Group at UMB has already established contacts with clinical research groups in the USA and Europe for further research on using the approach in patient treatment. Gaute Einevoll recently published the article "Modeling the spatial reach of the LFP" in Neuron, together with his former research fellow Henrik Lindén, currently working at KTH Royal Institute of Technology in Stockholm, Sweden, and researchers Tom Tetzlaff and Klas H. Pettersen at UMB. German researchers Tobias Potjans, professor Sonja Grün and professor Markus Diesmann at Research Center Jülich have also contributed to the study. The project is mainly financed by the Research Council of Norway's eScience programme and is an example of the increased importance of computational neuroscience in modern brain research. 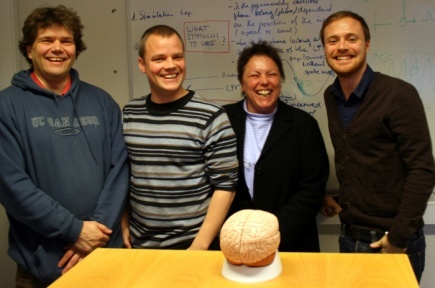 Einevoll was recently appointed one of four new directors of Organization for Computational Neurosciences, and is also co-leader of the Norwegian national node of INCF (International Neuroinformatics Coordinating Facility). Both organisations work to promote the use of methods from informatics, mathematics and physics in brain research.